When used to cure an injury, Acegram “removes purulent inflammation by killing germs, which reduces the acute phase of inflammation… it enhances proliferation, accelerating the growth of tissue,” Aleksandr Zurochka, laboratory’s head, told RT’s Ruptly video agency. The attraction of stem cells also provides the agent with “the potential to produce the very building blocks of recovery and regeneration of tissues,” he added. 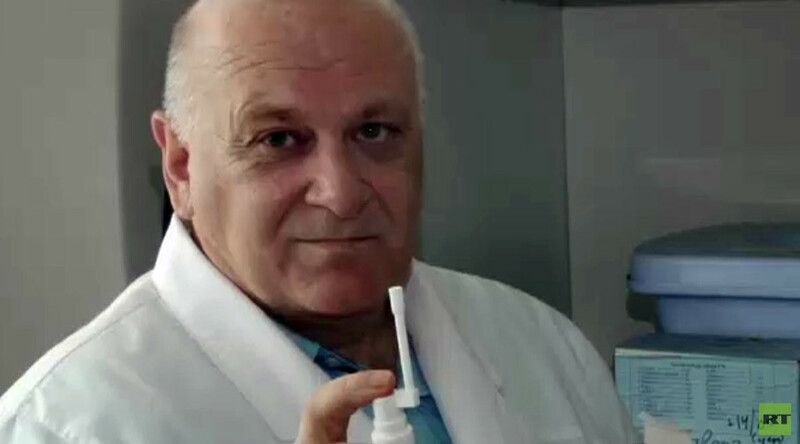 “The spray can be used to cure sore throat, stomatitis, rhinitis, both bacterial and viral,” as well as other illnesses, Zurochka stressed. Basically, it’s a single agent, which is capable of replacing a whole group of medical products, the scientist added. Meanwhile, Acegram’s potential is said to be even higher. According to Yuzhnouralskaya Panorama newspaper, in the future, it could solve the problem of viruses adapting to antibiotics.